The following is an editorial from The Remnant, with which we regretfully, but wholeheartedly, agree. The title Man of the Year, bestowed by the mass media on a gender-neutral “Person of the Year,” reflects the impact a public figure has had on world events during the year preceding. Thus it was quite understandable, even predictable, that Time, the world’s leading news magazine, and The Advocate, the world’s most prominent homosexualist publication, would both name Pope Francis “Person of the Year” for 2013. I regret that our current Holy Father speaks so strongly on topics about which no one expects him to know any more than anyone else. As far as his popular image is concerned, I don’t really care what color shoes he wears, what sort of car he goes about in, or where he chooses to set up housekeeping… Nothing is more seductive than flattery and applause, especially from a fickle and sensation-hungry press, and nothing is more fatal to our souls than vanity…. I suppose ‘encyclicals’ on other subjects can be written anywhere, provided one wears shoes of a politically correct color. For these and innumerable other like reasons, Pope Francis is The Remnant newspaper’s 2014 Man of the Year. 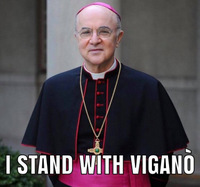 Although he certainly did not intend this, Francis is showing the Catholic world the final outcome of a trajectory that began with the Council’s problematical texts—the likes of which no ecumenical council had ever propounded—and proceeded with the destruction of the Roman Rite, the ecclesial paralysis caused by the viruses of “ecumenism,” “dialogue,” and “interreligious dialogue,” and the introduction of one unheard-of novelty after another , from communion in the hand to altar girls, all accompanied by a rapid collapse of religious vocations and the spreading apostasy of the lay faithful. With Francis we appear to be approaching the trajectory’s terminal point: a de facto merger of most of the human element of the Church with the world to which the Church has been “opened,” the Pope to serve as a respected facilitator of worldly diplomacy, social justice and peaceful relations among men of all religions or no religion, as the Church’s mission of making disciples of all nations is definitively abandoned by those who are divinely commissioned to carry it out. 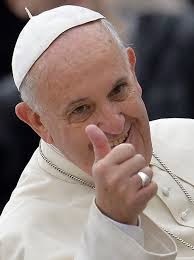 As Obama declared on national television in giving thanks to Francis for helping to broker the “breakthrough” that gave the Communist dictators of Cuba everything they wanted in return for almost nothing, leaving the Catholics of Cuba still firmly under their yoke: “I want to thank His Holiness Pope Francis, whose moral example shows us the importance of pursuing the world as it should be, rather than simply settling for the world as it is.” Such praise for a Pope from such a man, for such a reason, cannot fail to awaken serious Catholics to the almost apocalyptic gravity of our situation. And that is precisely why Francis must been seen as our Man of the Year. For as the New Year begins we can have the certitude of faith that God is already drawing immense good from the disaster of this pontificate as more and more Catholics turn away in horror from the destructive revolution it represents, looking once again toward Tradition and the legacy of the great Popes who labored so heroically to defend the Church from what attacks her with reckless abandon today.